Motorhomes and caravans come in various shapes and sizes and different weights and lengths. Most of them are imported into New Zealand from the northern hemisphere. To cater to the needs of the local market, each country has evolved a range of body styles and each style is identified by a different name. Curiously, while the name given to each body style varies from market to market, the actual body styles themselves are strikingly similar. For example, motorhomes built from front bumper to rear bumper look much the same no matter where they are built. In the US, New Zealand, Australia, and the UK, they are known as ‘A-class’ motorhomes while in Europe (EU), they are ‘integrated’ motorhomes. Below are the various names that apply to the various body styles and their countries of origin. The name says it all. These are small motorhomes usually built into small panel vans from manufacturers such as Citroen, Fiat or Volkswagen. As well as a place to sleep, facilities may include heating, a fridge, plus a water supply. They are too small to accommodate bathrooms but may carry a ‘port-a-potty’. A custom-made exterior annex can provide extra space. A standard (white) panel van converted by a manufacturer into a small motorhome, which includes adding windows and may include installing a high fixed roof or a pop-up roof. Inside seating, cooking, washing, and toilet facilities may be installed. Generally, this popular class of motorhome has adequate storage and a comprehensive range of equipment. 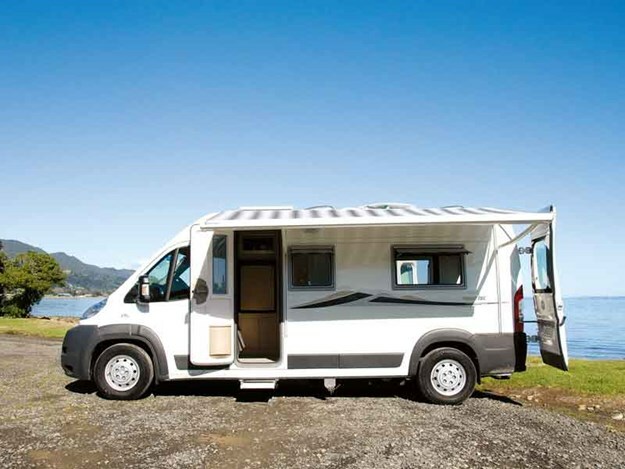 A new class of motorhome, usually under six metres in length with a footprint no larger than the equivalent panel van that can be either ‘B-class’ (low profile) or ‘C-class’ in body style. 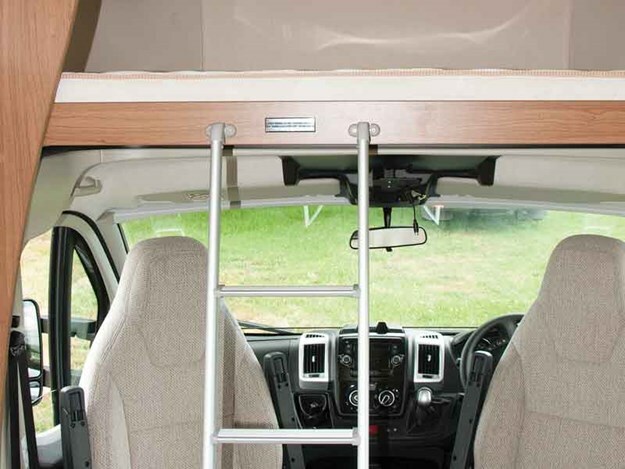 Easy to park and store like a van conversion with the layouts and facilities of the larger style motorhomes. In NZ, ‘Luton peak*’ or an ‘over-cab’; in UK, ‘Coachbuilt’; in EU, Semi-integrated; in Australia, C-class refers to both Low Profile and Luton peak body styles. Built on a cab/chassis usually from Fiat, Ford, Iveco, or Mercedes-Benz. Length from 6 to 7.5 metres overall, this style has a Luton peak built out over the cab containing a double bed. Built on a cab/chassis usually from Fiat, Ford, Iveco, or Mercedes-Benz. Usual length from 6 to 7.5 metres overall. The aerodynamic cowling above the cab provides useful storage but has insufficient headroom to accommodate a bed. Built on a chassis and scuttle usually from Fiat, Ford, Iveco, or Mercedes-Benz. 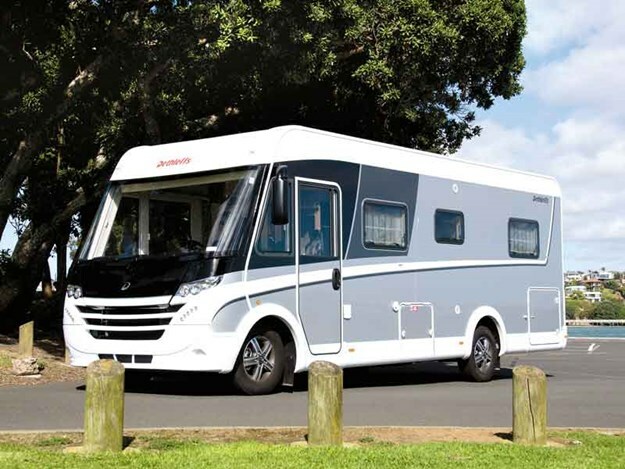 The motorhome builder builds the complete body from bumper to bumper usually on a longer chassis with a total vehicle overall length of 7.5 metres plus. May have twin rear axles and then have ‘Tag axle’ included in the description. In New Zealand, while each body style is usually referred to by its ‘New Zealand’ name, this is not always the case. 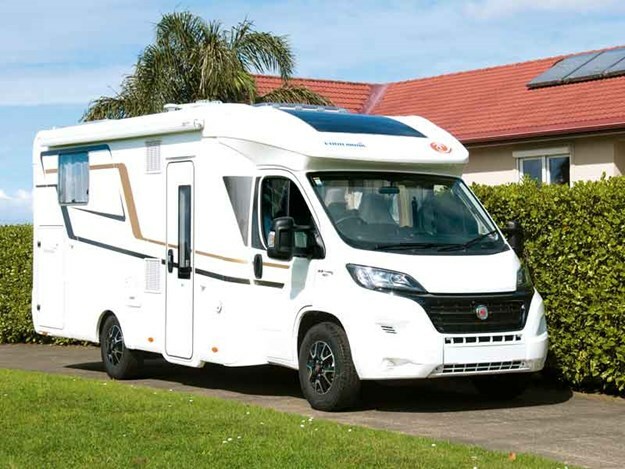 For example, a New Zealand RV dealer selling Australian-built products may be in the habit of using the Australian names for the various body styles of the RVs they sell. This can be confusing if you are not aware of body style names can change from country to country. But at the end of the day, if you like the RV you are looking at, you’ll buy it no matter what it’s called. *A Luton peak is a style of truck body incorporating an enclosed box body extending over the cab. This portion of the body is called the peak or Luton peak. It takes its name from the town of Luton in Bedfordshire. This style was designed to accommodate the high volume, low weight loads of straw hats that were part of Luton’s industry. 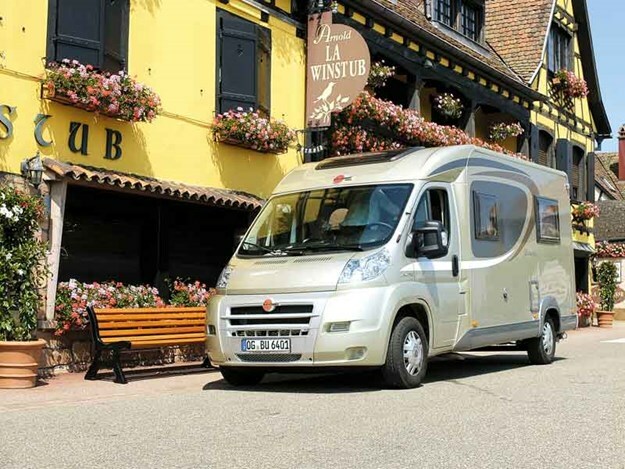 The Rapido 8094dF is a well-crafted motorhome with a touch of French flair added in. NZMCD reviews.